The work we are doing with the homeless has a two pronged approach. The first prong is working with the homeless where they are today. Extending the hours of our drop-in center. Buying houses to get people in-doors ASAP. Get a shuttle to transport people to appointments and our drop-in center. Working with remote tent communities to make them safer and more stable. Our day-to-day operations are all about moving as quickly as possible in that direction. But we have another prong in our approach that is a much longer game. We are looking very seriously at all the thousands of homeless that will be coming to America tomorrow, next week, next month and next year. We have not solved a single thing, so far, for the homeless that aren’t currently on our “official list” of people in our village. My personal view is that we live in an economy where the wealthy just continue to get insanely rich while they pay their employees non-livable wages. If you aren’t making $15.09 an hour at a full-time job in Akron you are not being paid a wage you can actually live on. You can’t afford your rent, your utilities, your food bill, your phone bill, your clothing bill. You are barely scraping by. If you want to call me a left-wing wack-job liberal because I think it’s wrong we are subsidizing a $1 trillion company’s profits by paying for 1/3 of all their employees’ food, go right ahead. And when people can’t afford to pay their own way then they can’t afford to help their son or brother or daughter or sister or mom or dad when they lose everything. And so homelessness increases. People end up alone on the street. I don’t think you have to be a great economist to see that housing and labor are all taking a hit. These numbers rip through local communities in ways stats like that graph never can fully explain. I’m not here to judge federal economics. I’m just the guy on the ground trying to prepare for the cleanup. Do you think those numbers are going to increase or decrease homelessness? My guess is that homelessness is going to increase. And keep in mind, I’m working with people begging us for a tent in our backyard in a good economy. There is supposedly plenty of jobs and all the rich people are making crazy money. What happens when the next recession comes? Do you think there are going to be more homeless or less homeless? My guess is that homelessness is going to increase. Every path I see for the future is more homelessness. More people living in tents. I simply see no evidence where super-low income housing springs up from coast to coast, homeless people with no identification and no money are scooped up and put into spiffy new apartments. That’s a fantasy world that has no conceivable foundation in reality. So we are preparing for the fall-out of a nation-wide federal economic disaster. It’s already here. But we are planning for it to get worse. Over 500,000 people slept on the streets of America last night. They had nowhere to go. They had no services to support them. They were scared, cold and alone. Do you think they would have been grateful for a safe place to sleep? Do you think they would have been grateful for a blanket and dry shelter? Do you think they would have been thankful for a tent on someone’s private property that was inspired to help them? The answer I hear every single day is that they are incredibly grateful. Do not believe the hype that we have resources for those people. That’s a gaslighting lie to make you feel better and divert attention from the reality that American streets are not paved with gold and, in fact, we are home to hundreds of thousands of people living on less than $1 day. We live in the richest country the world has ever seen and yet we have poverty on third-world country levels. Homelessness is hard. If it was an easy problem we would have solved it already. But it just keeps coming. Wave after wave after wave of homeless dads, moms, kids, grandparents and veterans falling through all the government and family safety nets and landing on the streets of America. Today I am moving on from tents because I am being forced by zombie laws that have no room to actually look outside and see the reality on the ground. People are going to be sleeping in the dirt in your city tonight. That’s not right. Did we not ever read the story of the Good Samaritan? Or do we just think that’s a cute story to tell our kids? The Good Samaritan is needed more than ever in America right now. We need to be able to feed, clothe and shelter the poorest among us if we so choose. There is no imaginable form of justice, humanity or civility where it is acceptable to be forced to leave these people shunned on the street alone because it is illegal to help them. If you’ve got a better idea than tents that is as cheap, instant and effective I’m all ears. Otherwise, my position is that private citizens with private money on private land should be able to help the most in need in the United States of America. 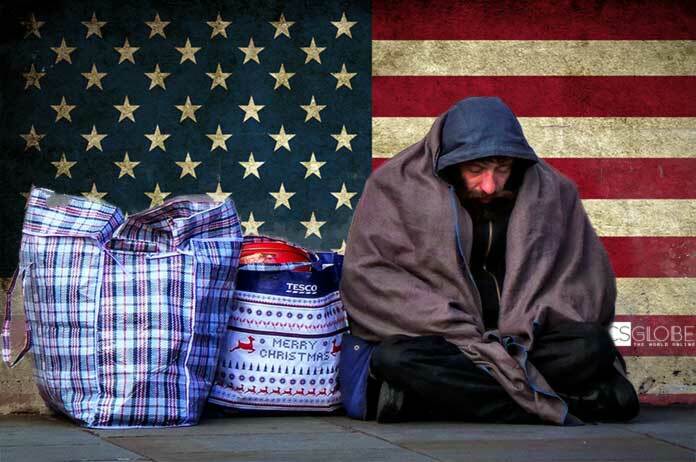 The image for this article came from here: War On The Homeless: Cities All Over America Are Passing Laws Making It Illegal To Feed And Shelter Those In Need | CSGlobe – It’s another good story about the illegality of helping the homeless in America. Right on, friend. It’s wonderful the COC is working to house our tent city residents. But there are those on a waiting list that will not make the cut. And there are likely those in our tent city that will not make “the cut” because of felonies, lack of ID or employment. Will they be shipped to Haven for 5 days? Will we call that “housed?” Tents were solving a problem. They filled a gap. The problem will still exist without a formal tent city. The gap will still be there. It’s a long game. I’m glad you’re in it for the long haul.